What’s your favorite day of the week? Mine is Saturday. In college my roommate and I invented an 8th day of the week: Satunderday. Satunderday was from 12 PM Saturday to 12 PM Sunday. Extra weekend day! I’m doing some work on HDB tonight and over the weekend. It needs some pizazz. Or tszuji, as Carson Kressly would say. Hey, if you know Carson Kressly, you know what I’m talking about. 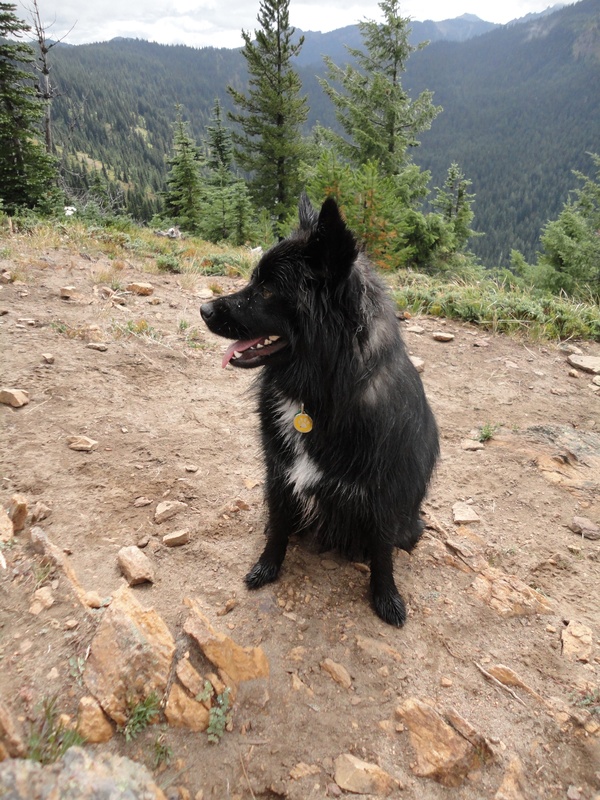 Aside from the appearance of the blog, I’m focusing on the About and Links sections, which prompted me to start a list of my favorite dog products and dog-related things, which prompted me to look at the In the Company of Dogs site, which prompted me to…well, you get the idea. One of the things I love most about online shopping is a good What’s New section. ITCOD takes it a step further for all you Dog Moms and Dads out there. Not only do they have a What’s New for Dogs in Your Life section, they have a What’s New for Dog Lovers section! It was in the What’s New for Dogs in Your Life section that I found something amazing. This is the Too Hot for Spot window thermometer. It’s a window cling that you press on the inside window of your car that tells you what the temperature is inside of your vehicle. Genius, no? The best part (aside from the obvious safety factor and ease of installation)? It’s only $10.95! I am not a dog expert (nor will I ever claim to be), so I won’t get into whether or not it’s ok to leave your pooch in the car . What I will say is that it’s a personal preference and that you should gauge whether your dog can hang out comfortably inside your car for various amounts of time. Every dog is different. Some get extremely agitated and stressed and others are happy as a clam to just lay in the backseat of Mom or Dad’s car. Do what is right for your dog, not what is easiest or most convenient for you! All of that being said, TLB loves the car. At least I think he does. I’ve never really asked him. We try not to leave TLB in the car for more than just a few hours. In general, if it’s sunny and even the slightest bit warm, he is never left in the car. I play it safe, and I can honestly say that I don’t believe I have ever put him in danger. Sometimes, though, your four-legged friend is with you while you are running errands and something comes up that will cause you to leave him or her in the car for a period of time. Is it safe? How can you tell? That’s where the Too Hot for Spot thermometer comes in! 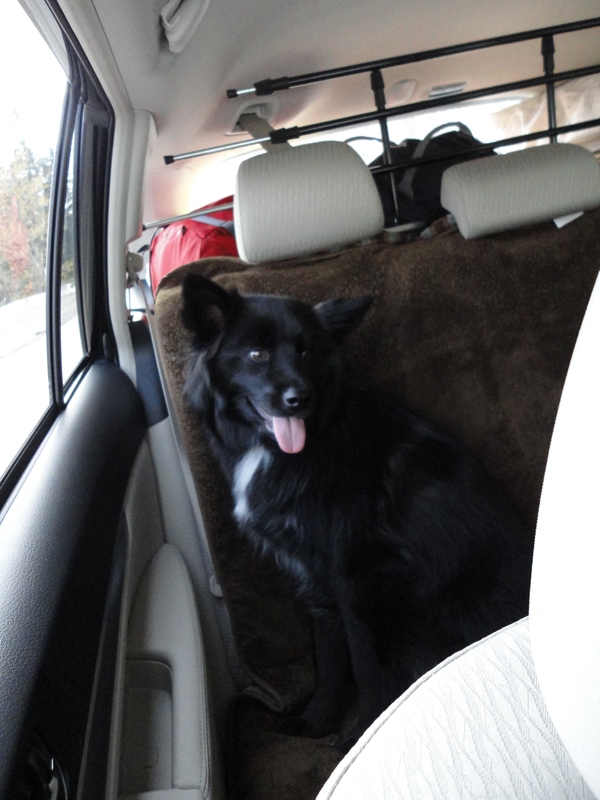 It’s a quick and easy way to determine whether your dog can safely wait for you in the car. And, it’s a great teaching tool for other dog owners that may pass your vehicle! How many times have you seen a dog in the car on a hot summer day? Did you cringe? Call the police to report it? Maybe you considered breaking the car window and rescuing the pooch yourself (I wouldn’t blame you for that one bit). 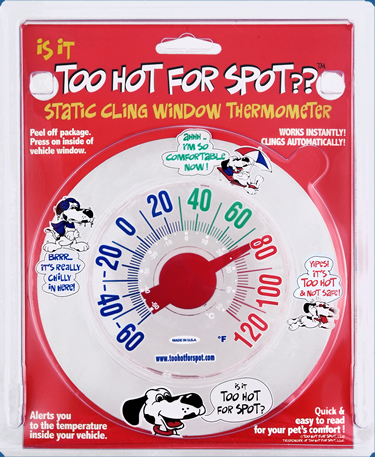 The THFS window thermometer is an easy, inexpensive way to both protect your dog from heat-related illness or death and spread the word about how unsafe it is for pets to be left in cars that are too hot. I don’t know about you, but I’ll be ordering a Too Hot for Spot! For more information, check out THFS website. Posted on February 24, 2011 February 24, 2011 by Shannon	This entry was posted in This 'N' That. Bookmark the permalink. If I had a dog, I would so have one of those!